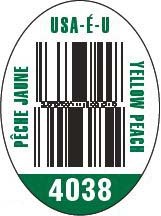 Our peaches are our largest selling commodity. 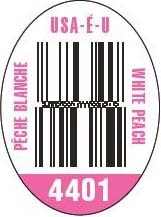 We grow both white and yellow peaches in our Orchards. 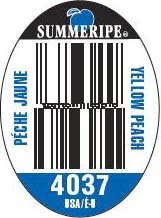 Yellow peaches range in flavor from super sweet and juicy to slightly tart to very tart and tangy. 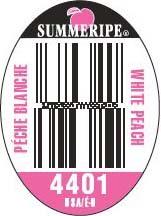 White peaches are a newer classification and possess from a crunchy, almost apple interior to a creamy super sweet flavor. Both yellow and white varieties have a light fuzz. Peaches are best enjoyed in many different ways. They can simply be eaten in hand or sliced. Many have discovered that grilling peaches are a fantastic way to add pizzazz to a BBQ. Many recipes exist in all categories of dining from appetizers to desserts. In marinades on steak, fish and pork, to salsas, ice cream and in salads. 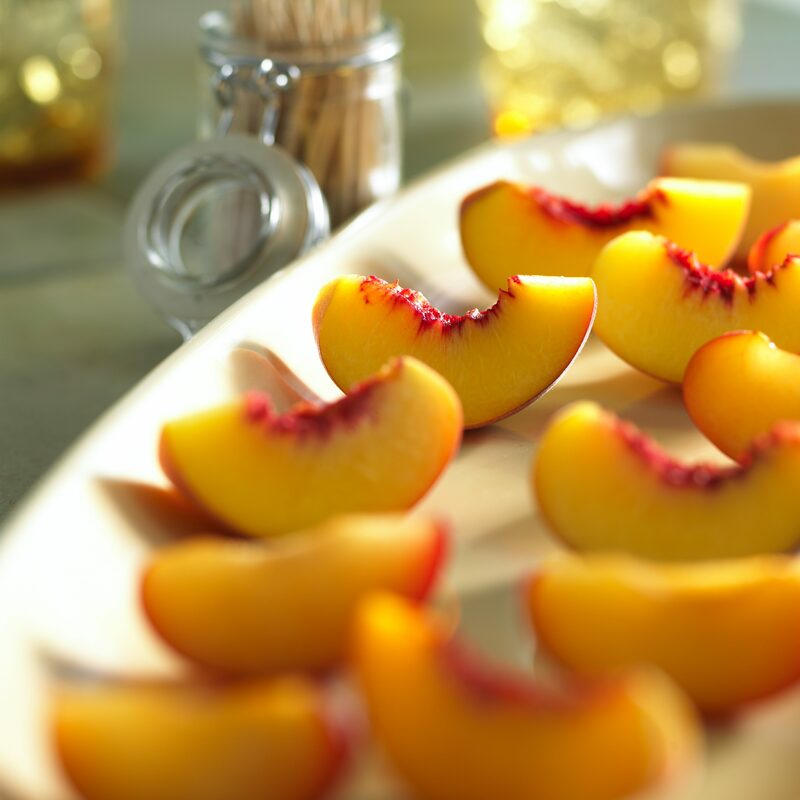 Visit our recipe section to discover many ways to enjoy our peaches! 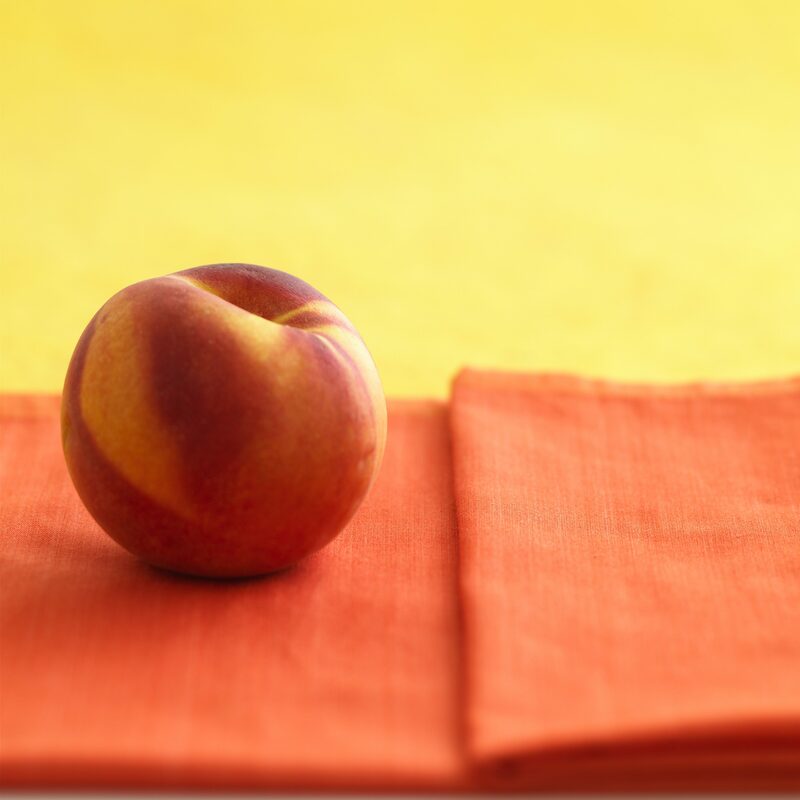 We invite you to savor the flavor of our amazing fresh peaches and bring back memories of picking fresh stone fruit off of a tree in Grandma’s back yard. Make a cobbler, crisp or just slice and enjoy. We guarantee you’ll love it! 1 Lyr. Tray Pack 17, 18, 20, 21,22,24, 25, 27, 28 8 x 18 144 12 x 20 x 4 48 x 40 9 / 10.5 lbs. 1512 lbs. 2 Lyr. Tray Pack 34/36, 40/42, 48/50, 54/56 8 x 11 88 12 x 20 x 6 1/2 48 x 40 20 / 22 lbs. 1936 lbs. Volume Fill 50, 56, 64, 72 8 x 10 80 12 x 20 x 7 48 x 40 25 / 27 lbs. 2160 lbs. 1 Lyr. Euro TP 28, 30, 32, 33, 35, 36, 42 5 x 19 95 16 x 24 x 4 48 x 40 15 / 19 lbs. 1805 lbs. 2 Lyr. Euro TP 28, 30, 32, 33, 35, 36, 42 5 x 11 55 16 x 24 x 6 1/2 48 x 40 29 / 34 lbs. 1870 lbs. 4 lb. Consumer 10 Count 16 x 20 320 11 5/8 x 10 x 3 3/4 48 x 40 4 / 5 lbs. 1600 lbs. 2 lb. Bag* (x10) 54/56, 60/64, 70/72, 80/84 5 x 11 55 16 x 24 x 6 1/2 48 x 40 28 / 31 lbs. 1705 lbs. 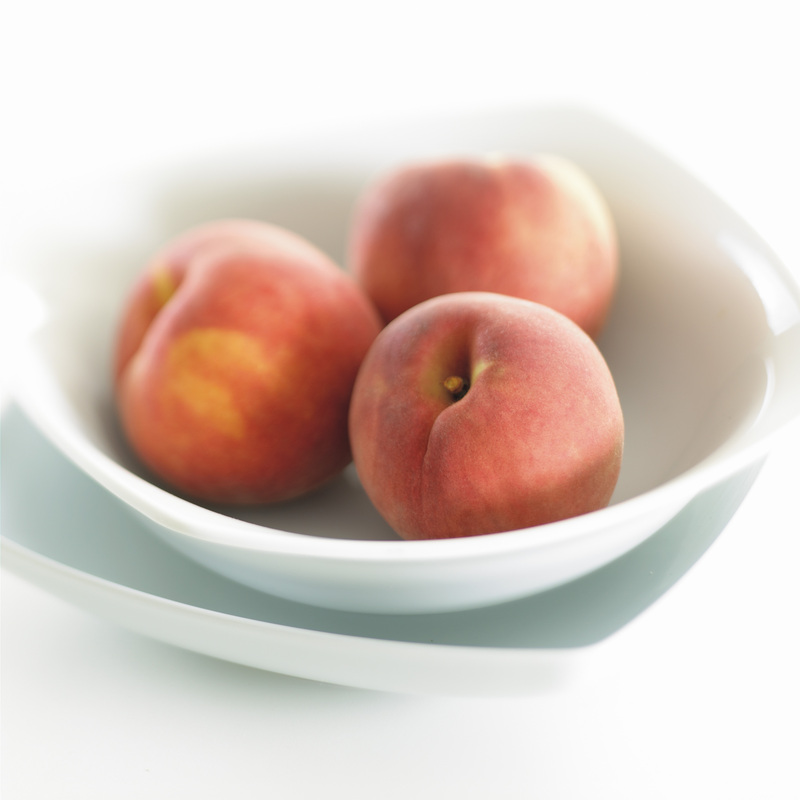 Peaches, with their soft skin and sweet flesh, are a summertime staple. 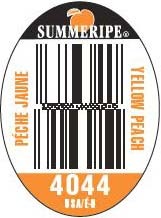 One of the largest fruit crops grown in the United States, peaches provide a great deal of nutrients with few calories and no fat. 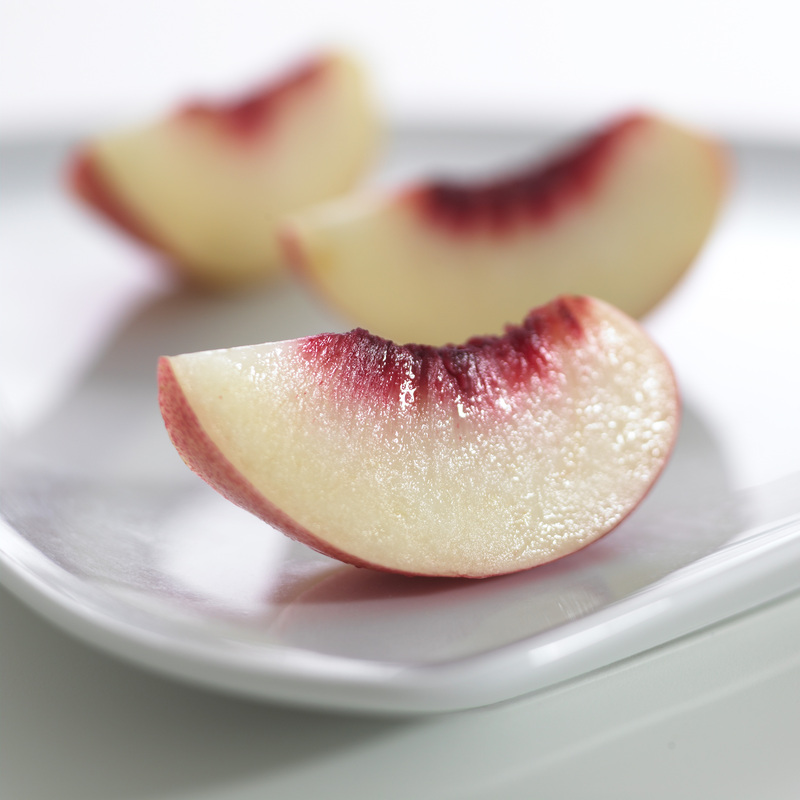 Peaches are a healthy way to fit in one of your daily servings of fruit. 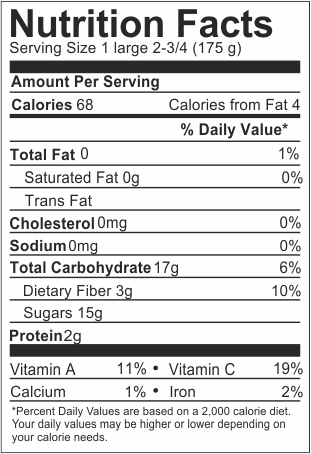 One large peach, about 2 3/4 inches in diameter, contains just 68 calories and no fat. 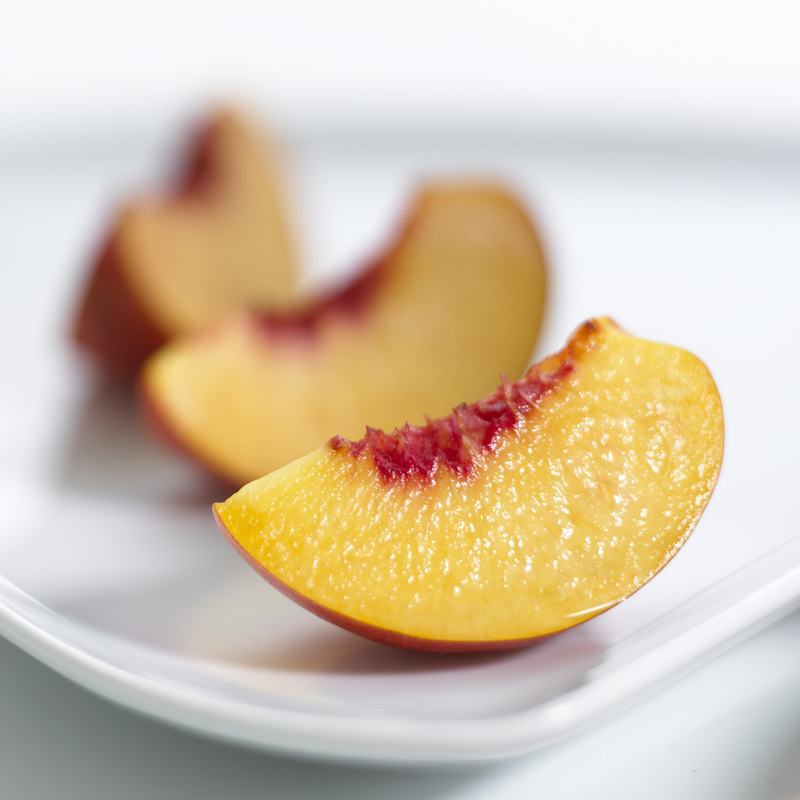 Eating peaches instead of more fattening, processed snacks, such as chips, baked goods, cereal bars and cookies, can help you manage your weight. Peaches are naturally sweet and can replace some of the added sugars in your diet. Use them to top unsweetened whole-grain cereal, plain yogurt or plain low-fat cottage cheese, instead of choosing versions of these foods sweetened with high-fructose corn syrup or cane sugar. A large peach provides 333 mg of potassium. Potassium can help you maintain healthy blood pressure as well as prevent kidney stones and bone loss. You need about 2,000 mg of potassium daily. 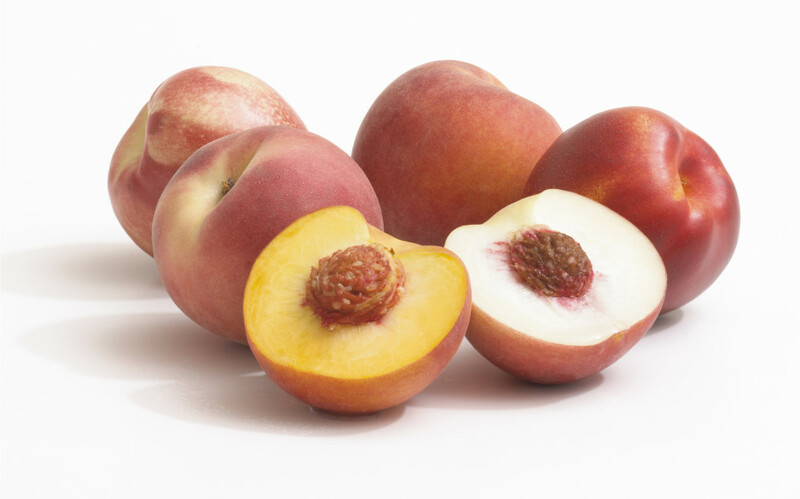 Peaches provide some magnesium, phosphorus, zinc, copper, manganese, iron and calcium as well. These minerals work to support red blood cell, bone and nervous system health. 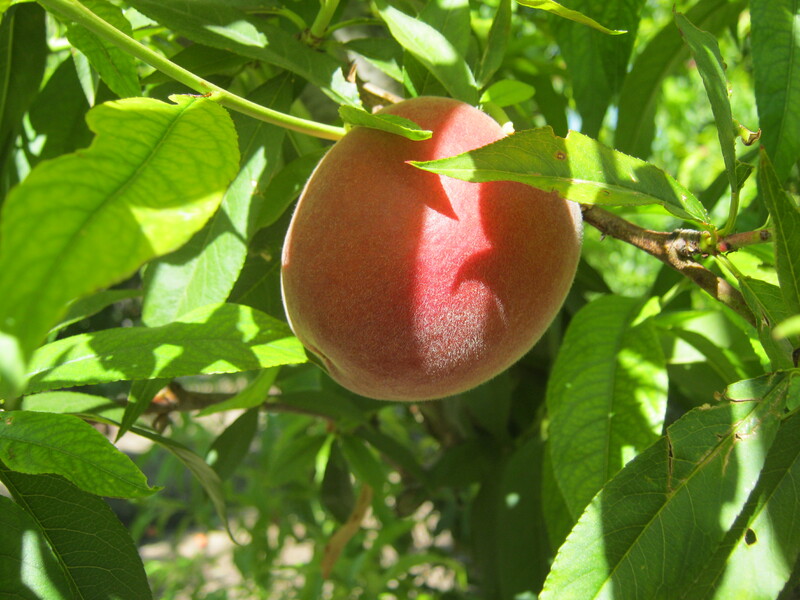 In the “Journal of Medicinal Food,” a study published in October 2009 reported that significant antioxidants are present in the flesh and skin of peaches. One of the major antioxidants in peaches, chlorogenic acid, helps scavenge free radicals — compounds that your body acquires through exposure to pollutants, food and the environment — to reduce the effects of aging and deter chronic diseases. This antioxidant may also help ward off cancer and reduce body inflammation. A large peach provides 17 g of carbohydrates, 3 g of which come from fiber. Fiber is essential to smooth and healthy digestion, preventing constipation and ensuring colon health. Fiber may also play a role in regulating your cholesterol levels, helping to reduce your risk of developing heart disease. An adult woman should try to consume 25 g of fiber daily, and an adult man 38 g daily.